Thaleia Tsongas Schlesinger is President of Schlesinger & Associates. Schlesinger & Associates, formed in 1986, is a consulting firm specializing in strategic planning and communications; professional services marketing; government, community and media relations; and crisis management and communications. The firm has worked with a wide variety of domestic and international clients in the private and government sectors. Clients of the firm include developers of major real estate, environmental and infrastructure projects; environmental engineering and construction management firms; energy companies; and firms in the health care, education, and biotechnology sectors. Additionally, Ms. Schlesinger has developed and led international marketing trips for domestic clients exploring overseas opportunities; planned and coordinated visits of foreign dignitaries to the US to introduce them to clients’ projects and professional services capabilities; and conducted orientation visits and conferences for the US Trade Development Agency. In the 1992 Democratic presidential primaries, Ms. Schlesinger traveled extensively on behalf of the campaign for President of her twin brother, former US Senator Paul Tsongas. As a representative of her brother, she met with political leaders across the country, spoke to diverse groups in over 25 states as well as Washington, D.C., and gave interviews to print and broadcast reporters in the local and national media. She was chairperson of the Massachusetts Delegation for the 1992 Democratic National Committee. In 2008, Ms Schlesinger was an Obama delegate to the Democratic National Convention in Denver, Colorado. Ms. Schlesinger’s media relations includes maintaining press contacts, managing crisis communications, proactive media strategy for her clients as well as for political candidates, local charities and civic organizations. She had previously served as press secretary for Congressman Barney Frank’s 1980 congressional campaign, and worked closely with local and national press as Chair and spokesperson for his 1982 re-election. 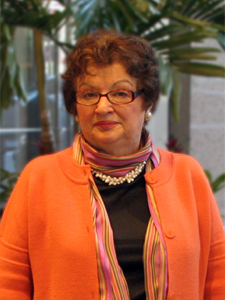 Ms. Schlesinger’s extensive community involvement includes membership on the Board of Trustees of the Boston Center for the Arts, Northeastern University School of Public Policy and Urban Studies, the Conservation Law Foundation, Health Resources in Action and the Massachusetts Association of Mental Health in Massachusetts. She has also served on the boards of national organizations such as People for the American Way.